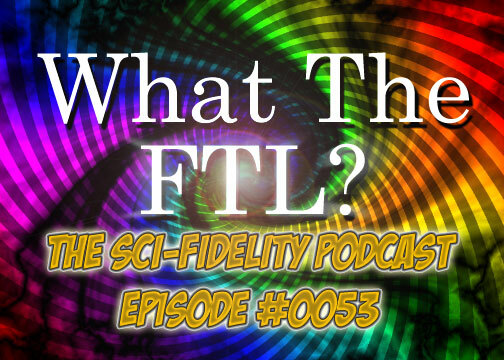 The Sci-Fidelity Podcast: The Sci-Fidelity Podcast #0053 "What the FTL?" Join us as we pop the hood to see the pros and cons of Science Fiction's most famous faster then light engines. If you have to make Einstein turn over in his grave which of the following would you choose? The USS Enterprise from "Star Trek The Next Generation"
The Millennium Falcon from "Star Wars"
The USS Sulaco from "Aliens"
The White Star 1 from "Babylon 5"
The Galactica from [er...] "Battlestar Galactica"
The to the Visual Reference for What The FTL?